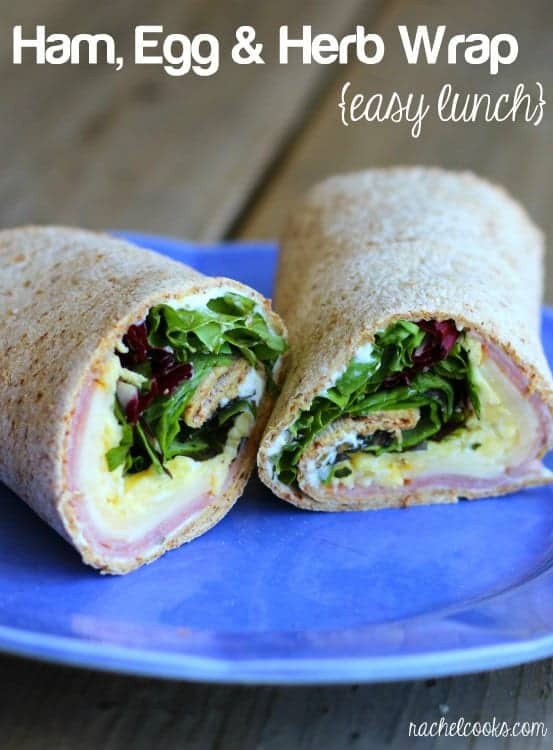 Easy, healthy and protein-packed, this ham and egg wrap with herbs makes the perfect lunch. 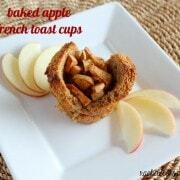 It would be a great breakfast too! I tend to get in lunch ruts so it is really nice to mix things up a bit. This egg wrap seems to be something I just keep coming back to. Especially if I didn’t have eggs for breakfast. I love eggs and could probably eat them three times a day if I didn’t have to worry about things like cholesterol. This wrap is SO good, you guys! I love the combination of the eggs with the salty ham, a little cheese (gotta have cheese!) and then crispy greens with fresh herbs. So much flavor already but then there is a thin layer of chive and onion cream cheese to make things feel so decadent. I could eat this every day! 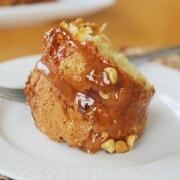 As with all my recipes, it would be so easy to switch this up and customize it based on what you have in the house or what you’re in the mood for any given day. I pretty much always have a package of Flatout flatbread wraps in my house because I love them (and they are a Michigan company!). That’s not sponsored, but you’ll be seeing more about them in the future. I pretty much stalked them out on twitter because I love their products so much. I finally convinced them to work with me. These wraps would be great vegetarian — just leave the ham out! Or if you don’t have the greens with herbs mixed in, you can easily add whatever herbs you love or have in your fridge. 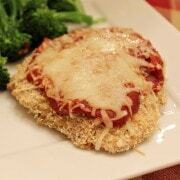 I used provolone cheese but any type of cheese would be fantastic! Leave the cream cheese on though…and make it the chive and onion. It takes this egg wrap to magical places. In a small bowl, whisk together eggs, milk and pepper. In a small frying pan over medium heat, scramble eggs to your liking (I like them to be soft when I’m done scrambling them). Meanwhile, spread cream cheese all over wrap. Near one end, lay out ham slices. On top of them, layer the cheese slice. When eggs are scrambled, add eggs on top of cheese and top with mixed greens. Roll up and enjoy! Verdict: I absolutely love eating this for lunch. Husband’s take: He’s not big into cream cheese. I usually eat this while he’s at work. 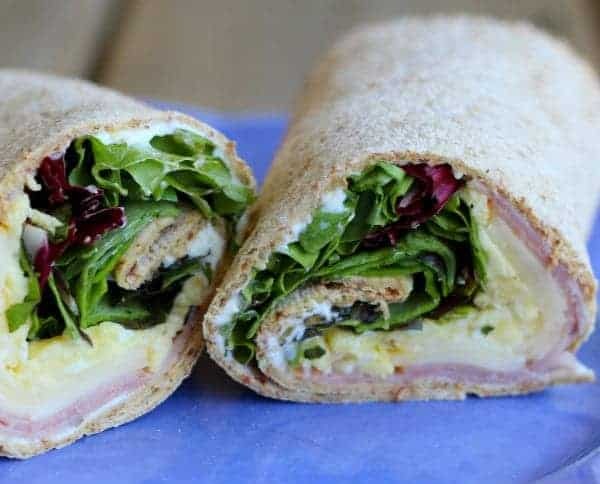 Looking for more great wraps like this ham and egg wrap with herbs? I literally have been eating eggs for lunch almost every day of this pregnancy! I’ve never tried flatout bread and had no idea it was a Michigan company! So cool. Thanks for the shawarma shout out! Sounds yummy, Rachel! I’ll have to look for the wraps and give them a try. I could eat this everyday too! This is a perfect quick lunch when you’re a momma on the run! I’m an egg eating machine lately, well all pregnancy. I want this wrap for lunch!! Looks sooo good. I’m definitely with you on the eggs – I could eat them morning, noon and night. My phone-it-in dinner is often breakfast tacos with bacon, smashed tater tots, and scrambled eggs. That being said, I think this wrap would be amazing with or without the eggs! You had me at cream cheese. This is my kind of lunch. I love wraps!